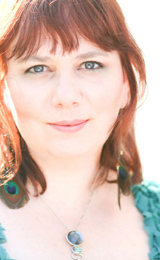 Lyrical Venus » Interview with Amy Kuney on Lyrical Venus – Tues 9am! This week on the Lyrical Venus Radio Hour I’ll be interviewing singer-songwriter Amy Kuney. She’s currently based out of Los Angeles and her full length debut album Bird’s Eye View was released last month. I personally love how her quirky/clever lyrics always catch me by surprise. “Headache in my chest”? “Rocket surgery”? “Third party at a table for two”? Why yes actually, those images describe certain relationship situations perfectly! Tune in to KRUU-LP 100.1 FM or kruufm.com on Tuesday at 9am and I’ll kick off with some tunes by great female singer-songwriters before Amy calls in! I love Amy Kuney and your writeup here summarizes her perfectly. Excellent! so cool! i’ll be sure to try to listen while at work. good luck with the interview! Oh hey Annie, thanks for stopping by my blog! The Amy interview was last week, but the archive should be up sometime soon, I’ll post a link when it is. This week I’m playing an interview I did with Melissa Ferrick when I was in Colorado in August.